Yesterday was weigh in day and I lost 1.4 pounds bringing the total to 32.8 pounds loss. I wasn't so strict with my calories this week and enjoyed some things I have been avoiding like bread and a cup of decaf coffee. I indulged a little with some Puerto Rican cuisine on Wednesday but shared my sandwich with my sister. I tried the the Cook Simple Jambalaya Rice and added turkey kielbasa and shrimps. It was amazing! On Saturday I went over my mom's and had one of her famous pork chops. Instead of eating it with a starch I had it with some salad. Although I know it is OK for me to indulge a little I really need to get back to counting my calories just to make sure I am not going over. I had a great fitness week and went to the gym 3 times this week. I am super happy with my gym so far. The environment, the people and the equipment are awesome! I took a super long walk on Wednesday with my sister which was perfect to burn off the meal we ate. My FitBit Flex buzzed really early that day with my calories burned goal completed. 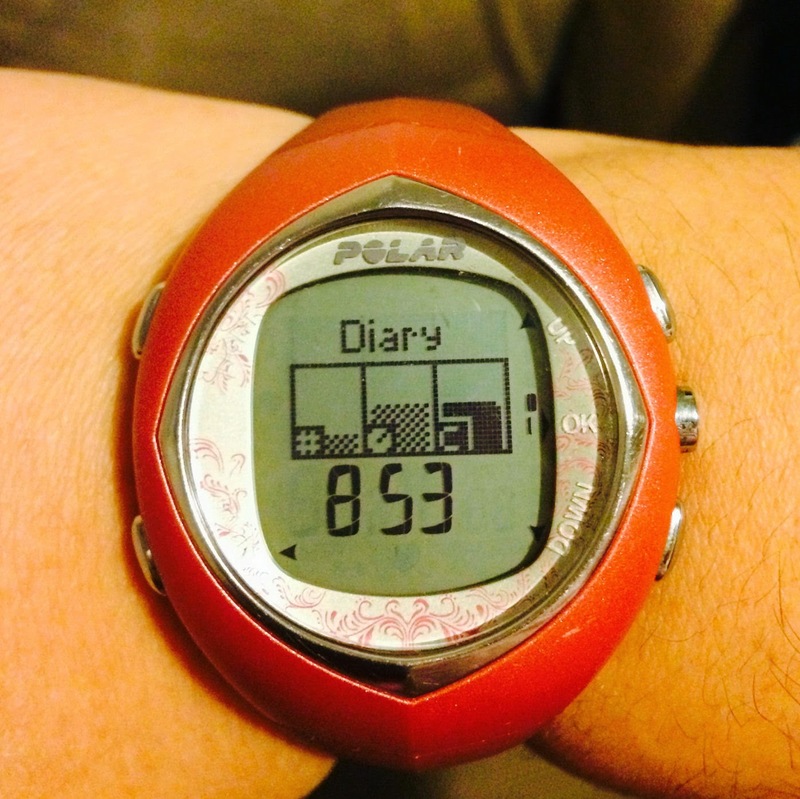 I wore my Polar F11 heartrate monitor at the gym and it kept pushing me to work harder. When my heart rate wasn't in the fat burning zone I just added more to the incline and speed of the treadmill. WOW!! 38 lbs is crazy-awesome! I love watching progress like this, what an inspiration. 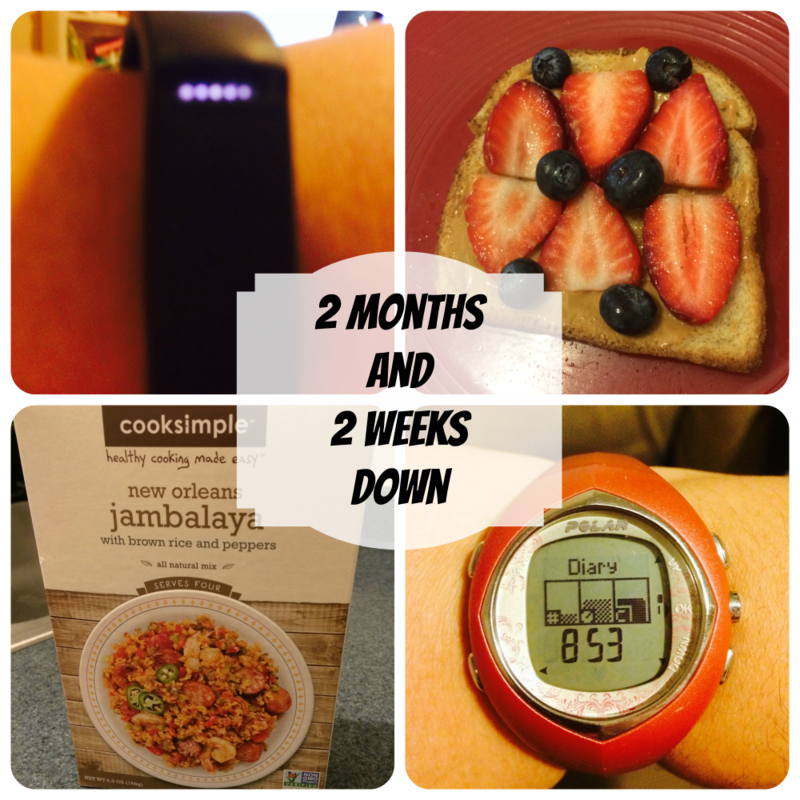 You HAVE TO link up to my Fitness Friday posts - they're open all week! You would be an inspiration to all of us! You attract an audience and eventually a readership. We enjoy our visit and yours is the most interesting website on the internet! Way to go on your 38 pounds! I need to find my motivation and get moving again. The minute I stop, the weight creeps back up. Ugh. Wow, that is amazing progress! Keep it up and you'll be rocking some cute summer clothes soon! Such a great achievement. I need to get a new heart rate watch. How do you like the one you have? 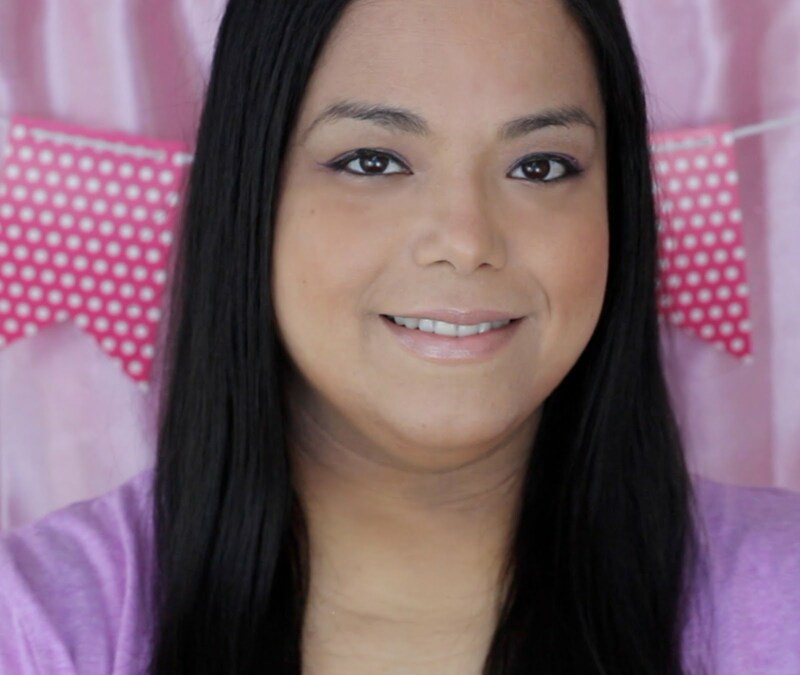 Your Doing FABULOUS You Rock Keep It Up It WillBe Sooooo Worth It! You're doing awesome! I'll have to check out that heart rate monitor! As far as the FitBit "follow" you can find me under Bobbie Michaels - can't wait to connect! I like that food choice in the pic.. congrats on your loss!! Fantastic results on your life journey! CONGRATS! 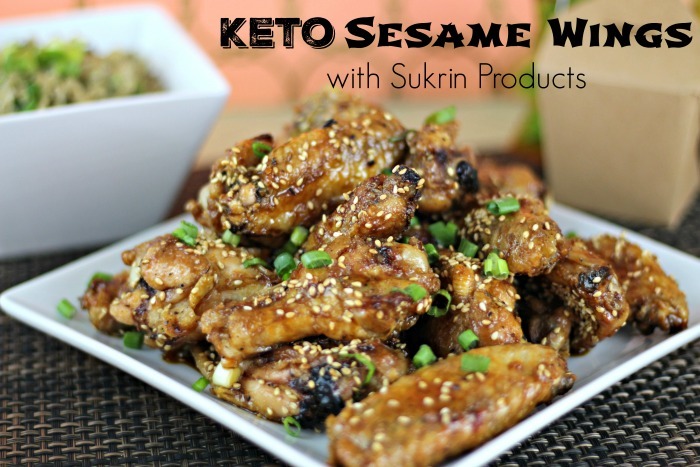 I have never tried Cooksimple I will give them a try! You are doing fabulously well! Keep up the good work. And if you don't "cheat" every once in a while there is a chance you will feel so deprived that you will go off the diet entirely! Wow, you are on fire. You've lost so much and still going strong. Great job. I love jambalaya too, unfortunately is quite expensive around here, I can only afford it occasionally. Woohoo for hitting Fitbit goals early in the day. I love when that happens! As long as cheats don't derail you, I think they're ok from time to time. Keep up the great work! I think you have some good, attainable goals for the week. 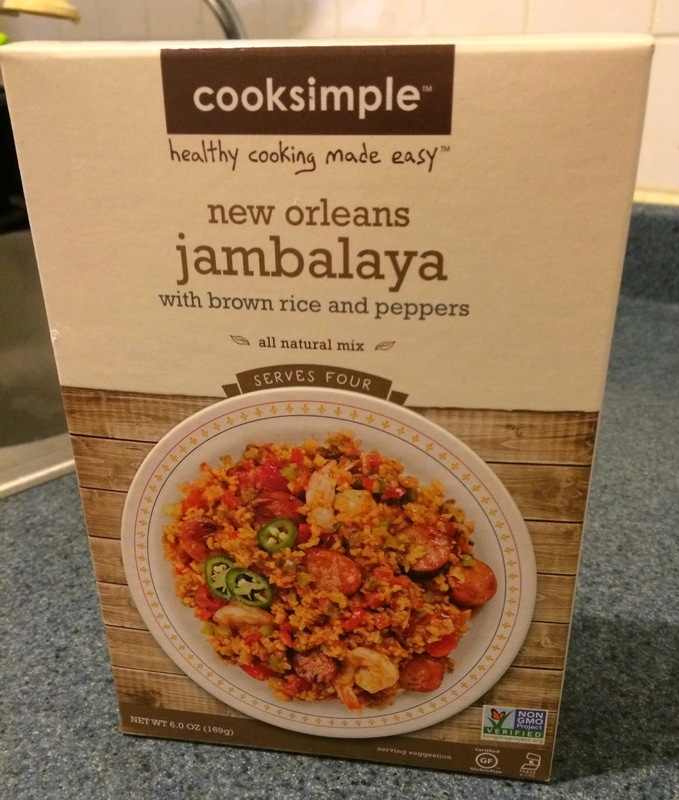 I really like the jambalaya idea with turkey kielbasa and shrimp - sounds so good! That watch is so cute. Congrats on keeping track on your goal. That's nice that you indulged just a bit. It's nice too that you shared with your sister. Very nice monitor--I need to invest in one of those! It's amazing what you have been able to do! I'm also so proud of myself. It's been already a month and I have been able to not drink any Coca-cola or eat any gluten. I feel like I finally will be able to control myself and start eating healthy for real! YAY! You're doing great! And I love Puerto Rican food...and quinoa. =D Looking forward to seeing what you make with it! 2 months is a long time! Wow! congratulations! You really should be so proud. I know I try every week but I lack will power! lol! I so need your persistance! Great job! Your Diet Really Look Delicious Maybe I Should Go On A Diet!! LOL!